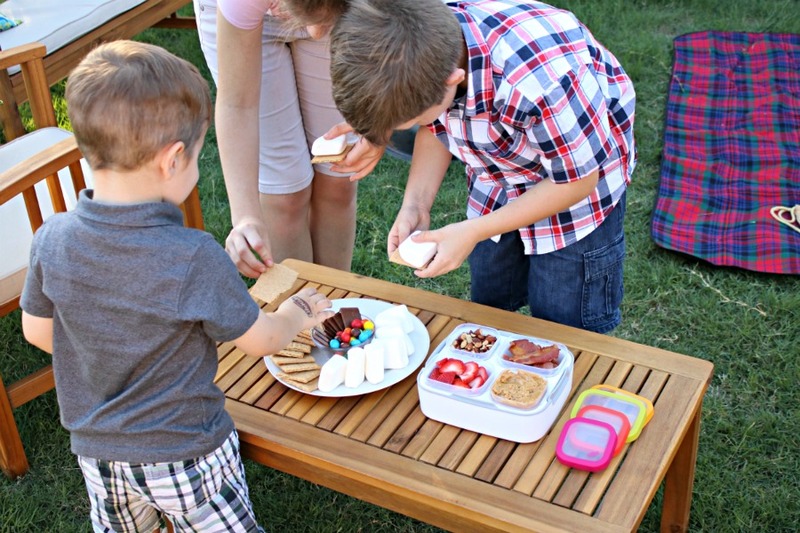 Lunchbox Dad: How to Create an Unforgettable Family Backyard Summer Campout! 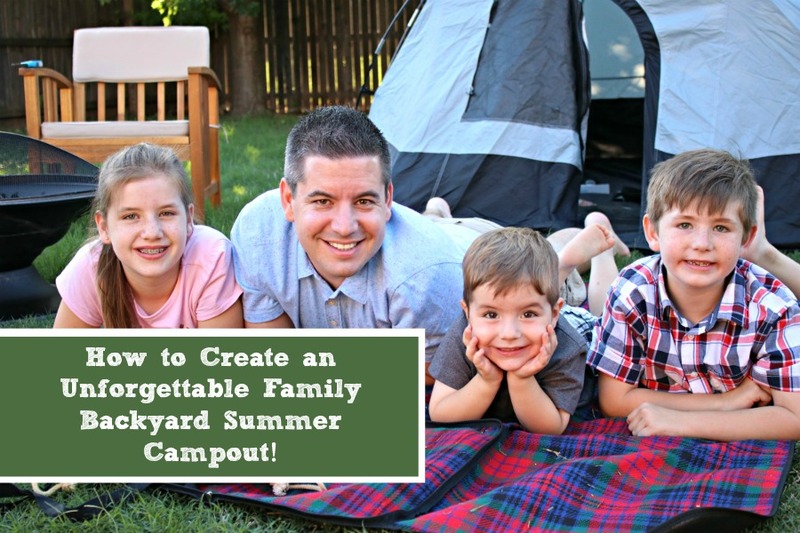 How to Create an Unforgettable Family Backyard Summer Campout! This is a sponsored post in partnership with Newell Brands. All opinions are my own. Hey it's finally summertime! This means no more school lunches, no more crazy outfits for spirit week, and more time to spend at home with your family. So the big question is, how do you make this summer the most memorable possible? If you are anything like my family you throw a backyard campout using items from around the house! Here is what we love about camping in the backyard. All of your supplies are about 50 ft. away from your campsite, you don't have to play Tetris packing your camping equipment in your car, and you can use an actual inside bathroom. Unless you have "porta potty" in your backyard instead. But in that case you might want to first work on a permanent bathroom instead of a portable toilet. 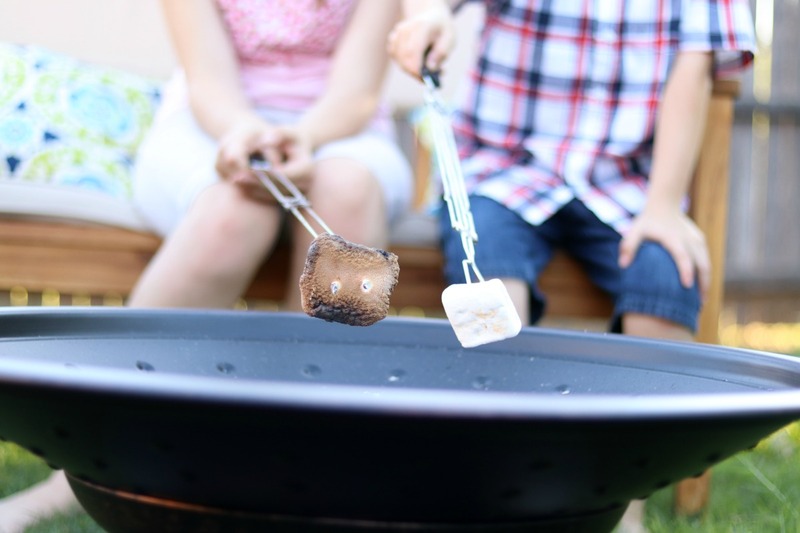 So if you are looking to make some memories over the next few months, follow my tips below for an easy summer campout that you can put together in no time! Make sure and start off with a great menu. You could go the simple route or get a little bit more creative. Gather your food first before you do anything else so that if you need to go to the store to buy anything, you will have plenty of time. We decided to go simple by just serving snacks and dessert. Dinner was eaten beforehand. 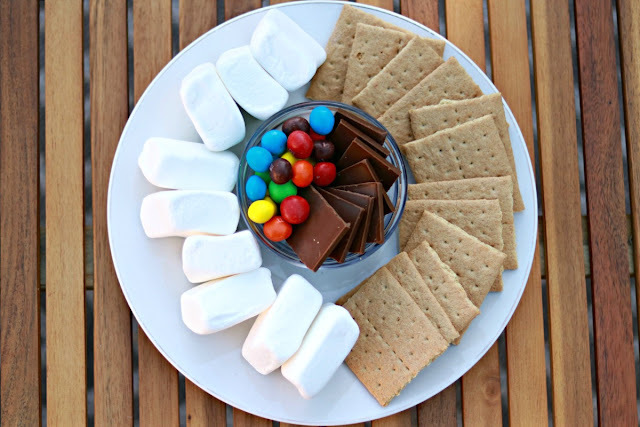 How we did get creative is by choosing toppings for our S'mores that could also double as snacks. We prepped it ahead of time and used the Rubbermaid Balance Meal Kit to store the snacks/toppings in. Since school lunches are done, it was perfect for our campout. 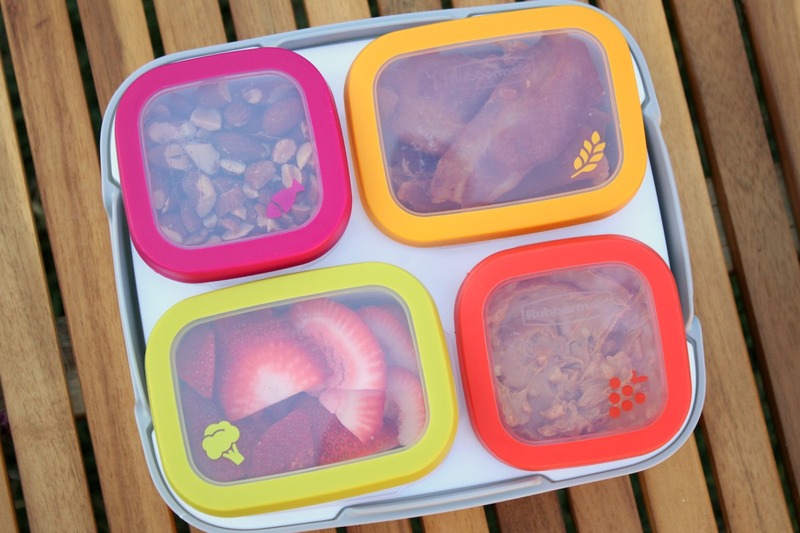 Not only are the individual containers sealable, but the lunchbox holds them together nicely. We filled it with sliced almonds, strawberries, chopped bacon, and peanut butter! Yes, bacon on S'mores is amazing. While we are talking about food, don't forget to stay hydrated. Water is great because when the sun beats down, the tent and you campsite can get hot. Also, when you are eating S'mores, you will need something refreshing to wash them down with. You also don't want to be running back into the house every five minutes because your cup got knocked over...again. Not that this happens with kids around. Nope, never. Does this only happen in my house? Well if on the off chance it happens to you as well, we really like the Contigo Spill Proof Kids Tumbler and Contigo AUTOSEAL Stainless Steel Chill Water Bottle. 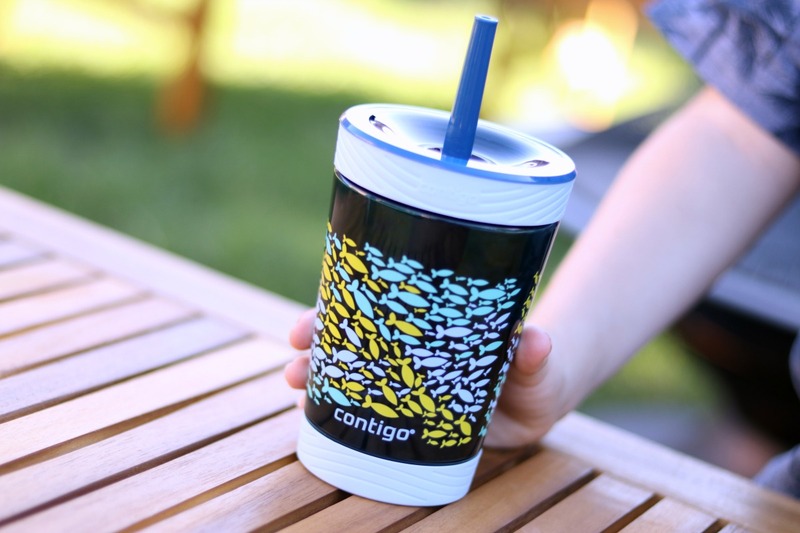 The AUTOSEAL water bottle automatically seals in between sips and the Contigo Kids Tumbler has a spill-proof valve in the straw so you don't have to worry about your kids emptying your water for the tenth time. Next, you need to check to make sure that your gear is ready. If you have one of those forty-year-old army tents that I grew up with, then you are going to need to plan three extra hours just to put that together. Those old tents were so convenient! Thankfully we have one that is a little newer and only takes about 10-15 minutes to set up. Make sure you involve your kids in the process. I had my son help put up the tent so that he could learn how to do it, but also so that we could spend a few extra minutes together. It was definitely quality time. For everything else, don't worry about getting fancy. Gather some patio furniture, blankets, and a fire pit or small BBQ. 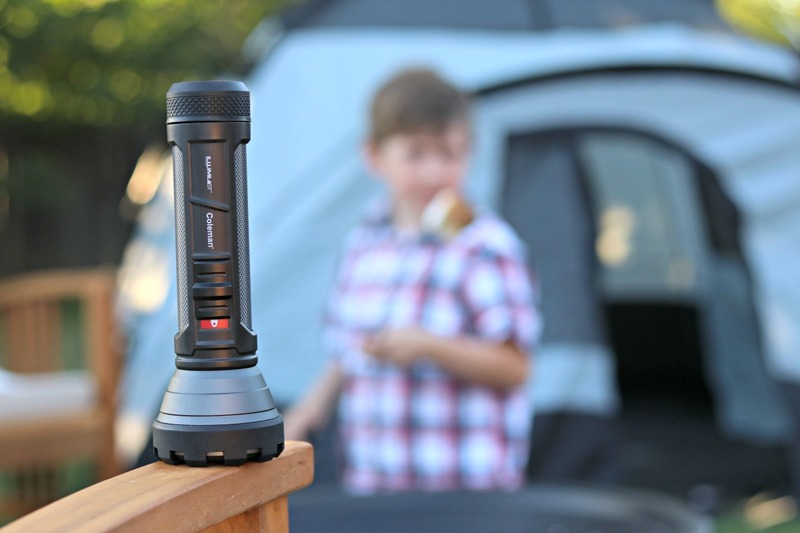 Oh, and don't forget a good flashlight. These are at a premium, not only because of adding to the atmosphere of the event, but also for those late night bathroom trips after it gets dark. Our house is like the Bermuda Triangle for flashlights. Once they enter the front door, you never see them again. I think they end up in the same place as all those socks that are lost in the washing machine. I hope we can hold on to this new one for a while. It's a Coleman IL+250 LED. What I love about it is that when it's off, it cuts power to the batteries so they don't get drained by just sitting in your closet! You also will need some fun card games to play in the tent at night. It doesn't really matter which games you pick. Just make sure that your kids also get to choose one, even if they choose that one that raises your blood pressure to unhealthy levels. Make an exception this time around. No excuses, these are the moments that your children will remember! 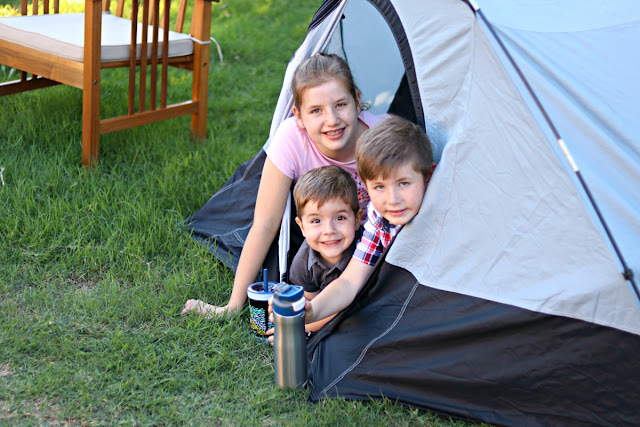 One other benefit of a backyard camping trip is that once it gets to be late there is a good chance that your kids will make the choice to head to the coziness of their own beds. If this happens it's the best of both worlds. You made amazing camping memories for the summer and you got to sleep in your own bed at the end of the night. If it doesn't happen, and you wake up with your kid's leg draped across your face, take heart, morning will come soon. Probably. Maybe. Remember to check out #DadsGuidetoSummer on social media for even more hacks and ideas! 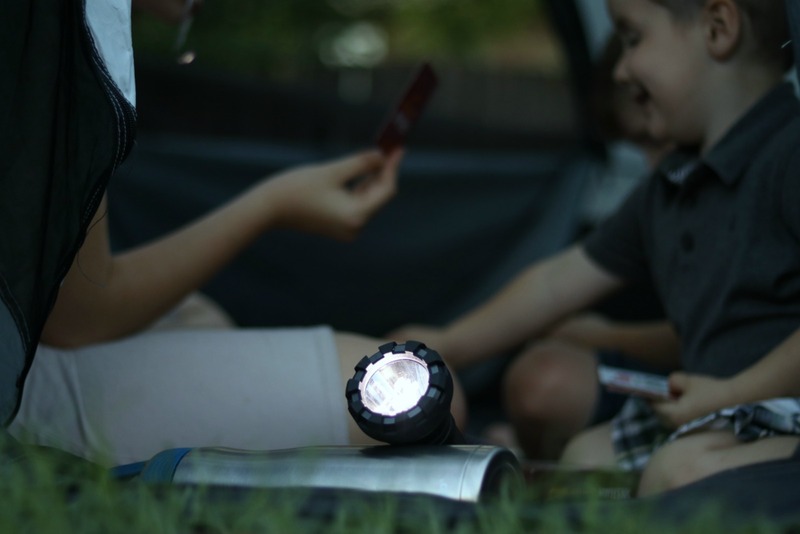 What are your favorite tips for a backyard campout?